At least this is the narrative perspective that we tell ourselves. Will Self, speaking on radio 4 called this ‘The myth of gradualism”. And he is right- it is a myth. Firstly, it is a myth that totally ignores the fact of Empire; the Centuries of brutal expansionism and enforced serfdom inflicted on half the known world. We imported all those spices and rich things whilst exporting injustice and greed to the far places where black people lived. The vast wealth that our elites to accumulated then allowed them to buy the compliance of the masses in this country with a million small concessions; some benefits here, universal health care there and the odd pension scheme to feed us in our dotage. The cost of all this was borne by parts of the world who had none of these things. Even now, in our post-colonial, post-Empire, post-industrial, post-modern nation, the power of this myth remains so strong that it persists even in the places that benefited from it least. The formerly colonised places might carry some degree of resentment for the way Britain treated them, but mostly they aspire to be like us- to attain our energy and resource guzzling consumer driven wealth. Lord forgive us. So far it is not going well for them- we continue to do very well for ourselves, whilst those places where raw materials come from and where the things we measure ourselves by possessing are actually made- these places (despite the growth of a super wealthy elite) are largely still uniformly poor by every measure. Change, where we see it, seems to relate mostly to the rise of new Empires, rather than the gradual lifting of the people of the world out of poverty; inequality is not decreasing, at best it is shifting. How about within the UK- is there evidence for gradualism here? We have seen an unprecedented change in welfare provision over the last hundred years, ever since the Liberal government introduced the first government sponsored old age pensions in the shadow of the First World War. For a short period up to the 1970’s it looked as though the gap between the richest and poorest was for the first time ever beginning to narrow. Over the last 15 years, more households have become poor, but fewer are very poor. Even though there was less extreme poverty, the overall number of ‘breadline poor’ households increased – households where people live below the standard poverty line. This number has consistently been above 17 per cent, peaking at 27 per cent in 2001. 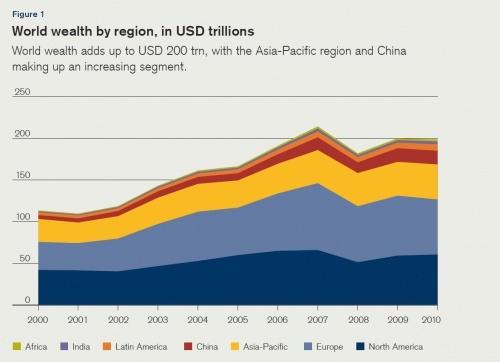 There has been slower change in wealth patterns overall. The national percentage of ‘asset wealthy’ households fell slightly in the early 1990s but rose dramatically between 1999 and 2003 – 23 per cent of households are now wealthy in terms of housing assets. Urban clustering of poverty has increased, while wealthy households have concentrated in the outskirts and surrounds of major cities, especially those classified as ‘exclusive wealthy’, which have been steadily concentrating around London. ‘Average’ households (neither poor nor wealthy) have been diminishing in number and gradually disappearing from London and the south east. So even from a UK-only perspective the idea that we are progressing towards a better and more equal society can not be supported. Rather, what we have is a country in which wealth is being accumulated massively by the already wealthy, and the poorest are being abandoned as valid recipients of state benefits, recast and demonised as feckless scroungers. Progress is now measured not in the sense of a society getting better, but rather the degree to which ‘my’ individual property is increasing.